You built your business through integrity and relationships but keeping up with technology can be overwhelming and costly. We invested in the resources and technology you need to serve your customer, so you don’t have to. 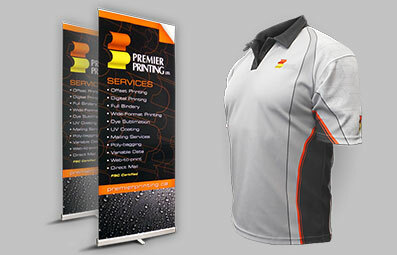 Work with Premier Printing to grow a modern business with smarter technology, smaller overhead, and bigger credibility. They say ‘nobody’s perfect’ – but on-time delivery perfection is exactly what we’re chasing so that you can meet, or exceed, your client’s expectations! We’re proud to share a live on-time delivery rate below for all jobs in our facility over the last 90 days. Besides those delivered on the promised date, we count any project delivered early (and there are plenty of them) as on-time too! Superior delivery of quality product at a fair price garners true customer satisfaction! The first step before the first step. Built on tradition, growing with technology. Digital, Offset, and Computer to Plate. Hard to ignore. Banners, Signage, Point of Purchase, etc. Bound and determined. 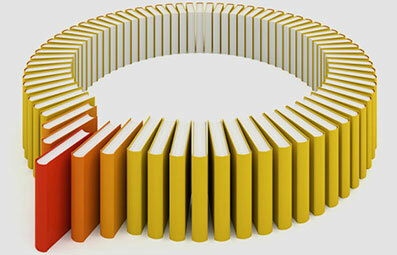 We have the right binding solution for your next project. Just the right touches. Hole drilling, Laminating, UV Coating, etc. Make it really stand out. 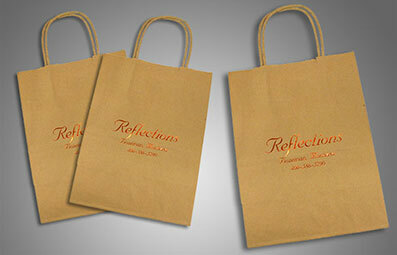 Embossing, Foiling, Custom Requests, etc. Flexible and scalable services for regional, national and international campaigns. Labelling, Poly Bagging, etc. Make it personal, make it count. Personalization, Numbering, Barcoding, etc. Go beyond paper with Tradeshow Displays, Branded Apparel, Promotional Material, etc. On-time delivery of consistent quality at competitive prices. Connect with our business representatives to establish a printing solution. Upload your printing jobs and we’ll do the heavy lifting. Enjoy extra time to invest in growing your customer relationships. Learn about our protected broker partnership program. 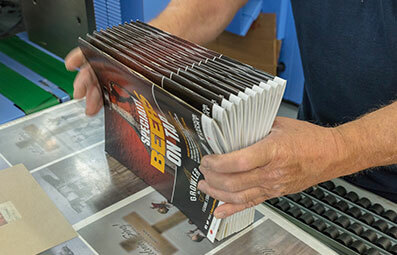 Our prepress department ensures everything is perfect before the presses warm up. 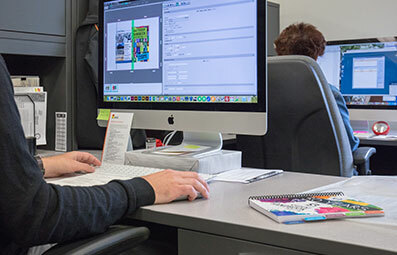 The prepress team works in a modern and technologically current environment so that every file— from nearly every document layout application— is, as much as possible, rendered colour-accurate and typographically correct. It's the first step before the first step. 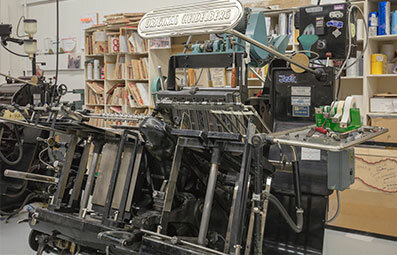 The pressroom has been the core of Premier’s operation since 1962. 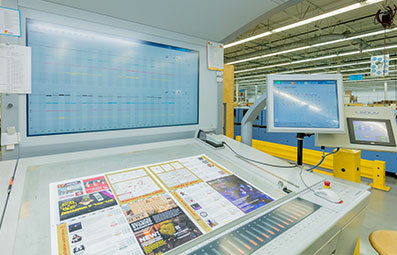 We operate a state-of-the-art pressroom that uses offset, digital offset, and computer to plate (CTP) technology that allows for endless options. Our LED-UV printing technology eliminates the need for coatings and varnishes and produces a higher quality and more durable print. It all adds up to faster turnaround, and more money left in your pocket. We've built our quality on tradition, and we're growing it with technology. Hard to ignore. Banners, Signage, Point of Purchase and more. 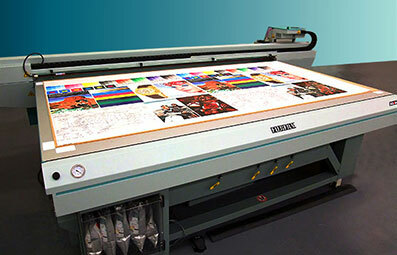 Premier Printing offers large format printing as well. 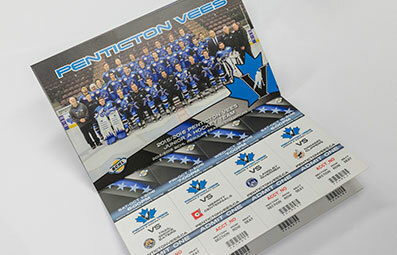 We can print on all kinds of substrates including card stock, foamcore, vinyl and coroplast, just to name a few. We can even do white under printing! 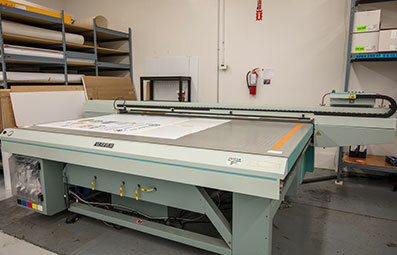 Premier's wide format printing is perfect for your banners, signage, Point of Purchase (POP) materials; anything that needs noticed in a big way. 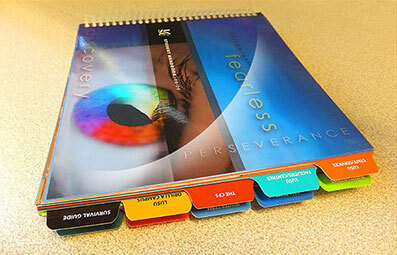 Premier's wide range of binding services recognizes that different projects need different binding. From magazines to brochures to books to manuals—if it needs to be bound, we're determined. Just the right touch. Hole drilling, laminating, UV coating, and more. 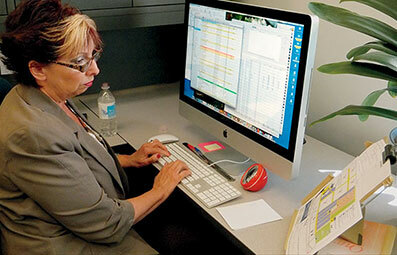 Premier's finishing services provide you with that touch of flair and differentiation that help you get noticed. Whether it needs to be laminated or magnetized, scored or die-cut, our finishing gives just the right touches. Make it really stand out. 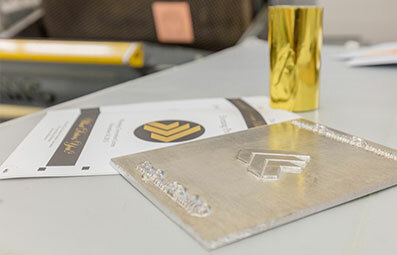 Embossing, foiling, custom requests, and more. Want to make it really, really stand out? Add that extra finishing touch to help you rise (and shine) above the rest. Flexible and scalable services for regional, national and international campaigns. Labelling, poly bagging, envelope insertion and more. 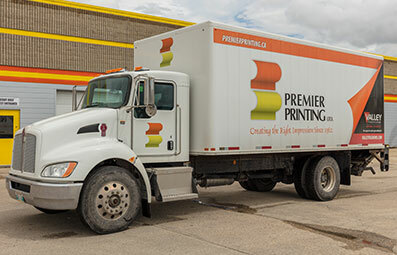 Premier is a Canada Post “Smartmail Marketing™ partner” offering a full-range of mailing services to send your final product anywhere in the world. From printing to packaging to sealing, our mailing service keeps everything in-house, going from our house to your customers' easily and effectively. Make it personal, make it count. 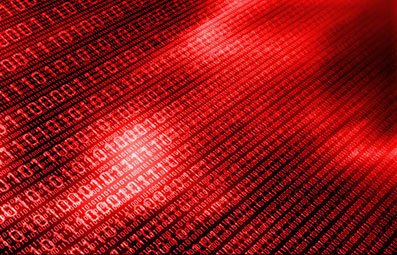 Personalization, numbering, barcoding, and more. Go beyond paper with tradeshow displays, branded apparel, promotional material, and more. 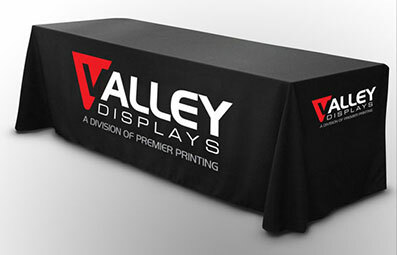 Our printing services extend to apparel, displays, and almost anything else that needs to be printed on fabric. 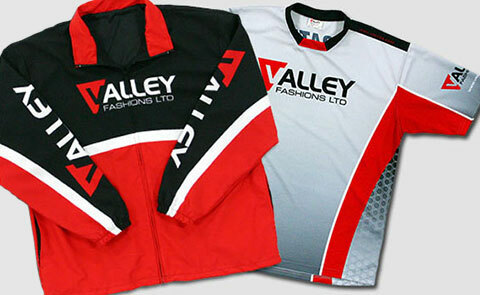 Our fabric printing team can offer you in-house services: from concept and design to sewing, finishing, and shipping. Display: banners, popups, table covers, hop-ups, overheads, tents, etc. Apparel: shirts, jerseys, hoodies, outerwear, specialty products, etc. 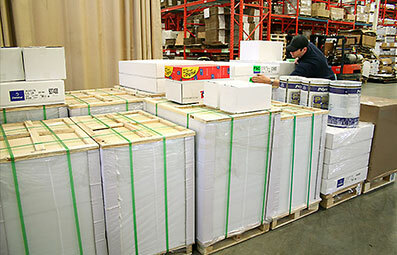 Premier’s expansive warehouse is designed for inventory storage and order processing. Your business material is labeled and stored for maximum retrieval efficiency. Once an order for your product is placed online by a customer, the individual items that make up that order are picked off the shelves by warehouse staff and transported to an order packing station. After an order has been picked and packed, it is moved to a shipping station to prep it for delivery to the end customer. Our team is ready to answer any of your questions and help you build a custom order fulfilment pipeline for your business. FSC® Certification: Premier Printing is an FSC®-Certified company. FSC® Chain-of-Custody certification is a voluntary certification system available to supply chain companies (like us) who want to demonstrate their commitment to responsible forest management by having their company’s planning, practices and products independently evaluated against FSC® Chain-of-Custody standards. FSC® Chain-of-Custody certification allows companies to label their FSC® products, which in turn enables consumers to identify and choose products that support responsible forest management. 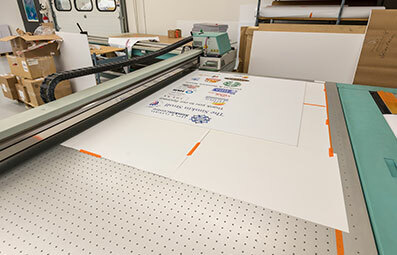 For our clients this means that they can confidently select and print on environmentally-sound paper substrates that are traced from origin to consumer. 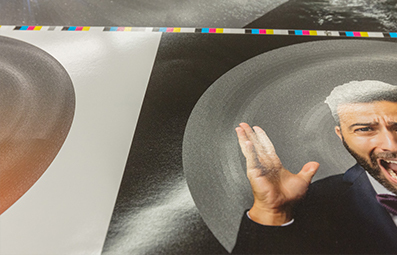 LED-UV Inks: Premier Printing is one of few printers in North America that uses LED-UV press technology. We were the first printer in North America to convert two long-perfector presses from conventional inks to LED-cured UV inks. 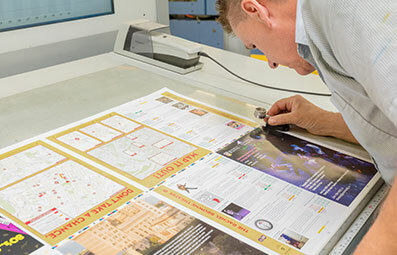 For our clients this means we are able to more quickly bind press sheets and offer best-in-class print quality. We remain a leading member of the International LED-UV Association. G7® Master Printer: The G7® standard yields a visual match between different imaging systems and promotes a visually identical image across a range of G7®-calibrated printing devices. 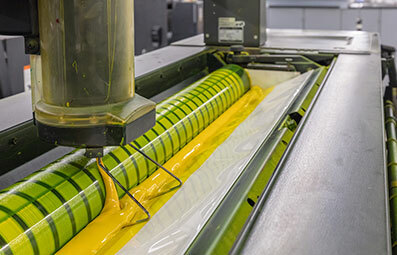 For our clients this means that any of our proofing, conventional offset, LED-UV offset or digitally-printed products will be color-accurate, repeatable and consistent from job to job. 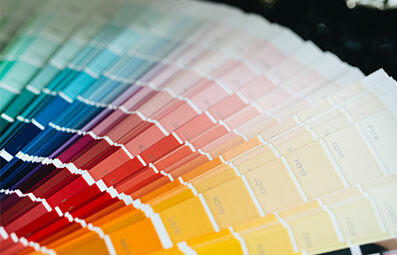 This also means that we can take in work from other G7® facilities and match colour with ease. 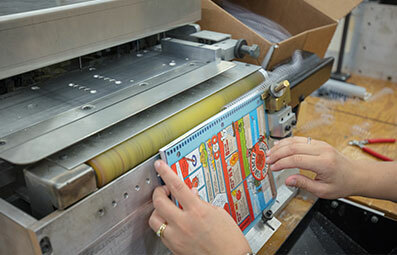 LEAN Manufacturer: Premier Printing is proud to be a LEAN manufacturing facility. We strive to continuously ‘grow people’ and ‘serve the customer.’ We actively seek out ways to eliminate the wastes of transportation, inventory, motion, unused human resources, waiting, over-processing, over-production and defects. For our clients this means we can provide consistent quality, exceptional value and responsive turn times on work supplied to us. We maintain an on-time delivery rate of over 97% on all work we receive! 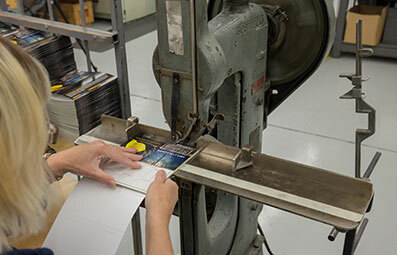 We encourage clients to visit our print operations to see LEAN in action for themselves! Paper, Process and Plant Stewardship: Though we work hard as a LEAN organization to reduce paper waste, we can never eliminate it all! We gather all off-cuts, trimmings and other paper waste, compact it and send it out for recycling. By recycling hundreds of tons of paper each year, we prevent unnecessary waste in our land-fills and help sustain the industries that work to convert recycled paper into new sheets and other products. Paper is one of the most renewable resources on earth (www.twosidesna.org)! We also mitigate most paper waste through a tightly-tuned manufacturing workflow, digital print-on-demand print, chemical-free plate processing, low energy LED-UV, and VOC-free vegetable-based inks. 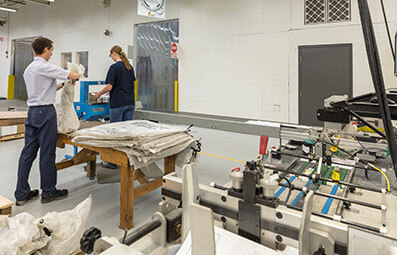 Premier Printing uses high-efficiency T8 lighting within the facility, and LED lighting for all external lamps. Premier is a Canada Post Smartmail Marketing™ partner. It means you have access to the kind of expertise and experience that's usually reserved for larger businesses. If you're new to Smartmail MarketingTM or direct mail, you'll benefit from the experience and success we bring to the table. We take care of all the details for you – we can help design, we print following specifications, we sort and group your direct mail by postal route, and much more. 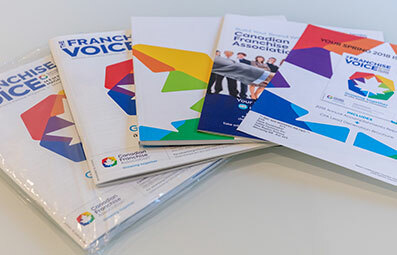 Premier Printing is proud to be a national sponsor of the Canadian Franchise Association. CFA Purpose: We help everyday Canadians realize the dream of building their own business. Delivering learning opportunities that make franchising stronger.